To network and resource youth ministry leaders and advocate for youth ministry in the state of Indiana. Welcome and connect new youth pastors & leaders! Create opportunities for sharing ideas, dreams and resources that might impact and benefit other ministries! Assist churches in the hiring process of a youth pastor/leader in whatever ways possible (job descriptions, names, etc)! Create opportunities for regional youth pastors/leaders to gather together for encouragement, networking and training! 365 is an annual event for students to experience God's presence with other students from around the state of Indiana. Our Mission is to equip and empower students to impact their world for Christ through servant leadership. This weekend is a leadership intensive event designed for high school students who sense a call to ministry or who desire to lead in their local contexts. Students will learn their ministry SHAPE, spiritual gifts, and personality profile. They will be challenged to develop spiritual disciplines and meet other students who are passionate about Christian leadership. Nestled in the scenic hills of south-central Indiana, Camp Challenge occupies 158 acres of land 1 1/2 hours south of Indianapolis. Affiliated with the Church of God, the camp facility was built over 50 years ago by ministry-minded people who understood the powerful life-change that takes place when people step away from busyness and distraction and into communion with God’s creation. 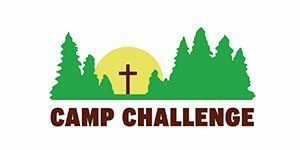 Camp Challenge is a multipurpose facility that accommodates retreats for all types of Christian groups. However, the camp’s main goal is to create summer camping adventures for grades 3-12 to have fun, discover nature and experience God’s Love. 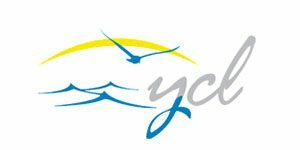 The Mission of YCL Ministries is to provide a setting for Christians of all ages to experience God, mature in their faith, and develop a servant’s heart to serve in their communities. In the hectic pace of today’s world, families need a place where they can grow in their relationships with each other and God. Church leaders need a place where they can seek God’s direction and develop plans to advance the Kingdom or conduct a youth camp, church retreat or small-group spiritual enrichment session.